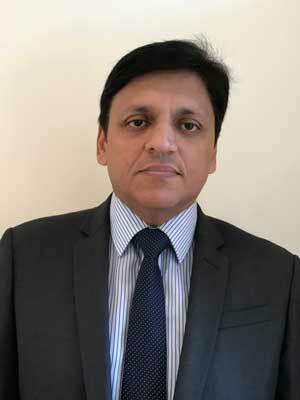 Dr. Khan is a Consultant Rheumatologist and Physician at Queen Elizabeth Queen Mother Hospital Margate, involved in Musculoskeletal ultrasound training of Specialist Registrars. He is also supervisor of Core Medical Trainees and an examiner for the ‘MRCP Paces Exam’ for ‘Royal College of Physicians London’. Dr Khan works closely with physiotherapists, occupational therapists, podiatrists to provide a multidisciplinary team approach towards management of individual patients. Technical procedures such as joint and soft tissue injections are available. Treatment is tailored according to the individual needs. Patients can expect a personal, empathetic service. Dr. Abdul has been awarded membership including MBBS, MRCP (UK), MRCPI and MRCP (Rheumatology) from the Royal College of Physicians London. He has also awarded Master of Science in Rheumatology (MSc) (passed with Merit) from Kings College London. Dr Khan is also (C.A.S.E) Accredited Focus Musculoskeletal Ultrasound qualified from Canterbury University.